As Bangladesh reels under the massive influx of Rohingya refugees fleeing the violence in Rakhine state, Bangladesh’s Foreign Minister A.H. Mahmood Ali said that Myanmar has made a proposal to take back about half a million refugees. His remarks came after his meeting in Dhaka with a Myanmar delegation headed by Kyaw Tint Swe, a minister in State Counsellor’s office. Myanmar: Will another Panglong happen? The hope of signing a nationwide ceasefire agreement between the Myanmar government and the ethnic armed groups on the Union Day, 12 February, is unlikely to happen. 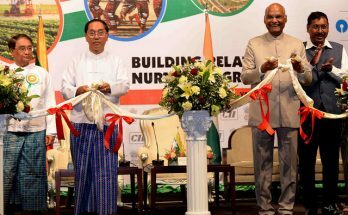 The date of inking the agreement on this day was proposed by President Thein Sein. It was on this day several decades ago that the historic Panglong Agreement was signed between the Myanmar (then Burma) government and several ethnic minority groups. AQIS: A possible Al Qaeda resurgence in South Asia?